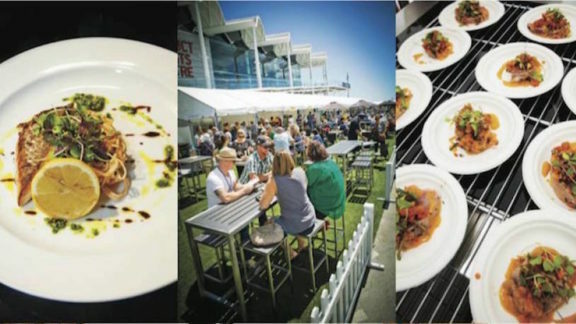 There are more things to do in Auckland than you might think! 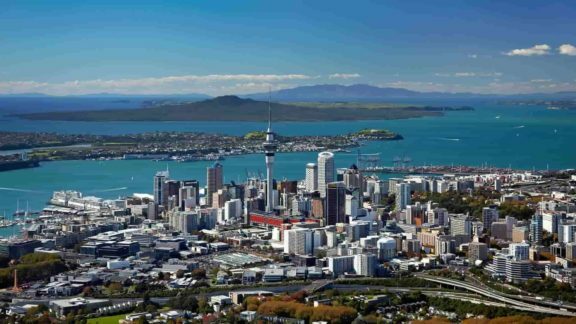 So if you’re wondering what to do in Auckland while you’re here, we’ve listed 20 of the very best things to do during your stay. Whether you want extreme adventure, want to learn about Auckland or New Zealand or just want to chill out there’s something for everyone. Mission Bay is a lovely suburb of Auckland. Not only does it have some really nice places to eat, fantastic ice-cream and great bars it also has a beach with a spectacular view of a volcano (Rangitoto). My advice is to walk to Mission Bay and check out all the other little beaches on the way. After spending the day chilling on the beach, swimming in the sea and having a spot of lunch, get a bus back. (If you’re in Auckland for a while get a HOP card). 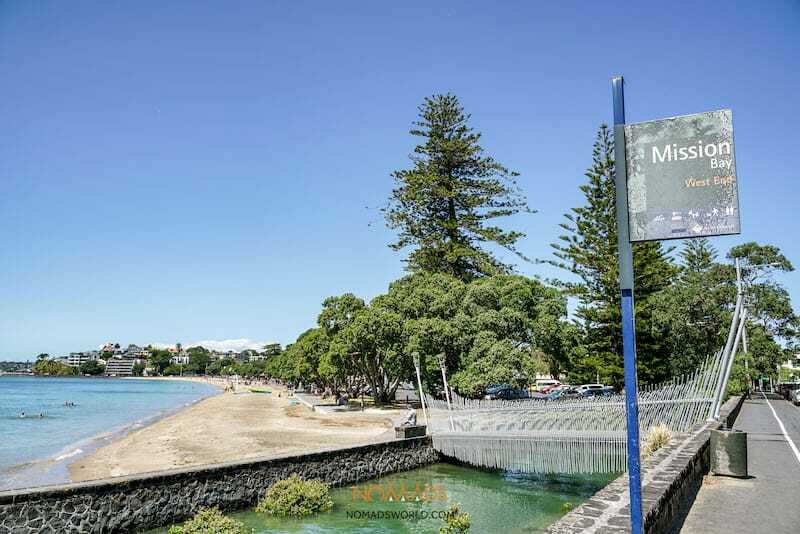 A little bit further along the coast from Mission Bay and you’ll come to St Heliers Bay. 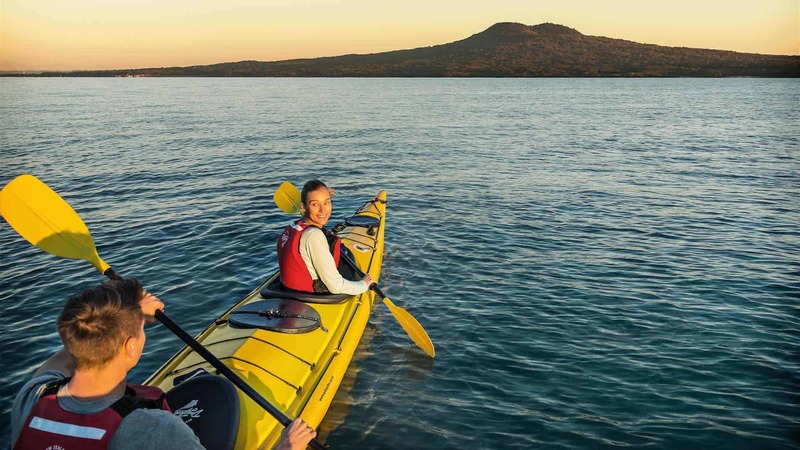 It’s from here that you can take a day or sunset kayak tour to Rangitoto Island. Your trip includes kayaking to the island, a trek to the summit (with amazing views), a BBQ lunch or dinner and then kayaking back. You’ll also learn a lot about the history of the region by your kayaking guides. You might even spot some little blue penguins on your trip! 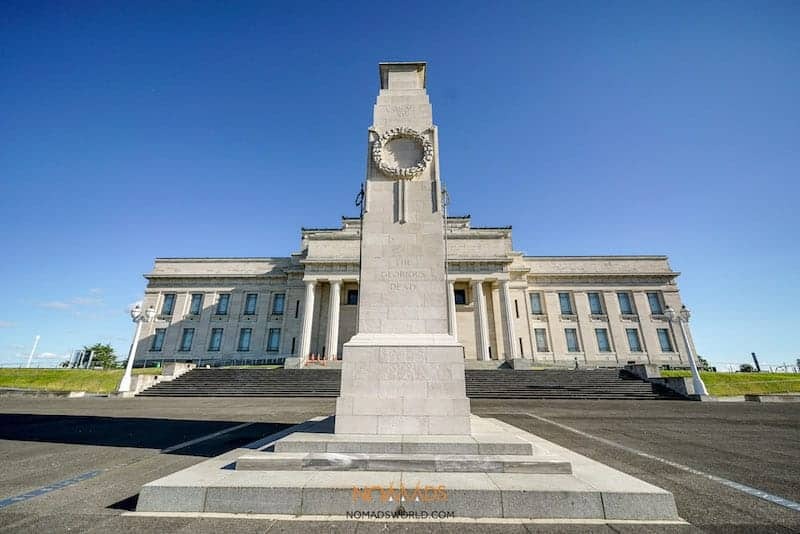 The Auckland War Memorial Museum is an impressive building located within the beautiful Auckland Domain – a 75 hectare park just out of the central CBD. The Museum has a massive collection of Taonga (Maori treasures) as well as loads more fascinating exhibitions. 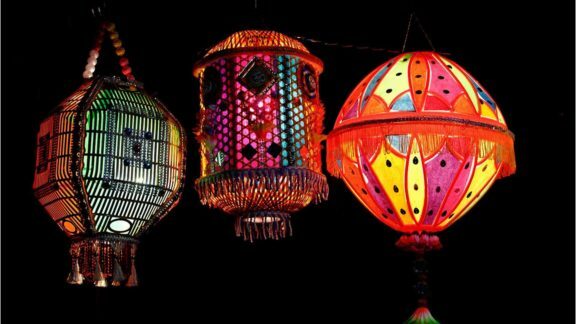 Although it’s free for Auckland residents to enter, international visitors will have to pay $25 to enter (it’s worth it!). The Domain is also worth spending a few hours wandering around. Visit the winter gardens, the duck pond or just enjoy a picnic and a stroll through the gardens. Waiheke Island is a 40 minute (ish) ferry ride from Auckland. It’s well known for all the wineries on the island and some pretty nice beaches too. 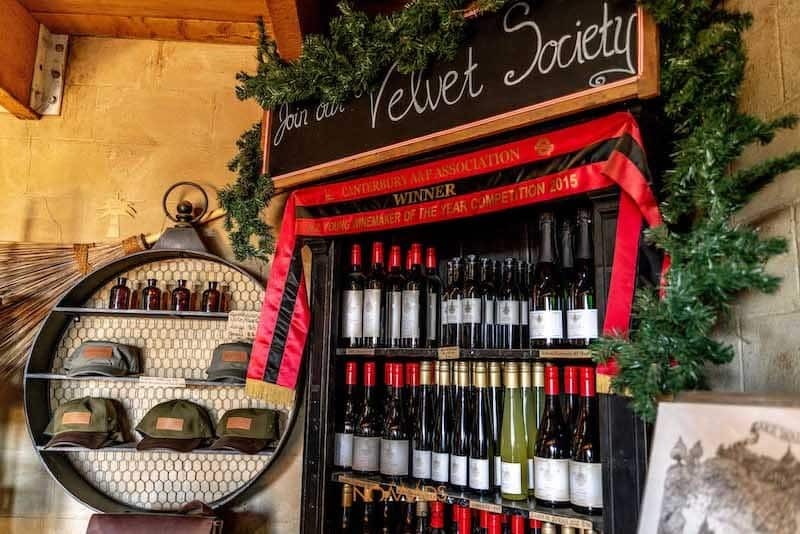 If you like wine then an organised wine tour is well worth doing. Have a chat with your travel agent in Auckland for any deals going or for the different options available. Located in disused sewage works, you’re going to surprised and impressed by Kelly Tarlton’s. 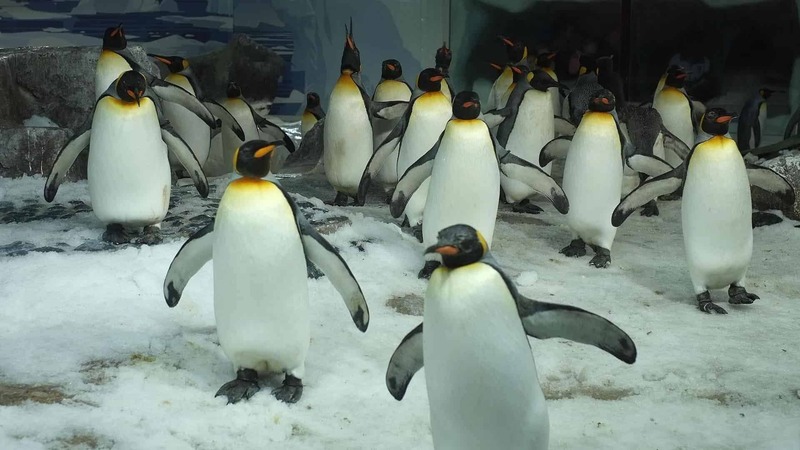 Probably one of the most popular parts of Kelly Tarlton’s is the Antarctic Ice Adventure where New Zealand’s only colony of Sub-Antarctic penguins live. During your visit you’ll also see turtle bay, sharks, stingrays, seahorses and of course, plenty of fish! 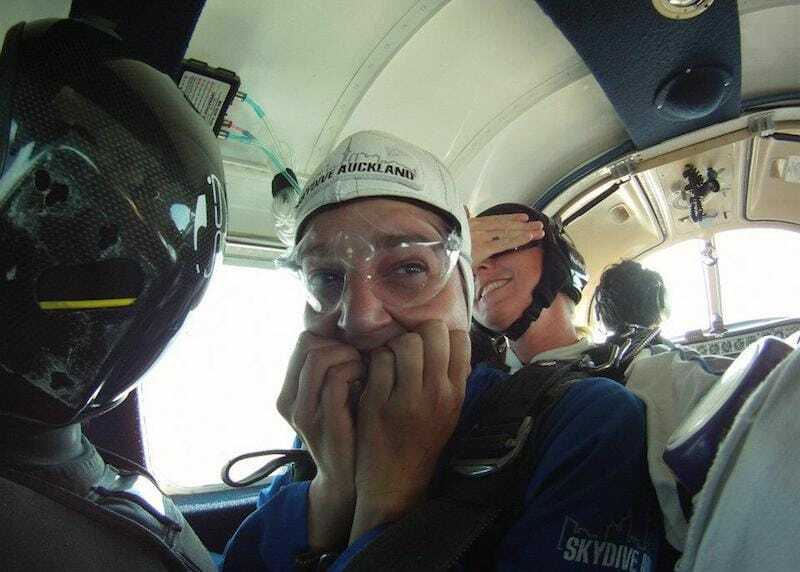 Auckland may not be on your radar for a place to skydive as New Zealand has loads of amazing locations to jump out of plane. However doing a skydive in Auckland should definitely be something you consider doing as the views of the west coast are pretty spectacular! As soon as you fly into Auckland you’ll be aware of this iconic building in Aucklands city skyline. 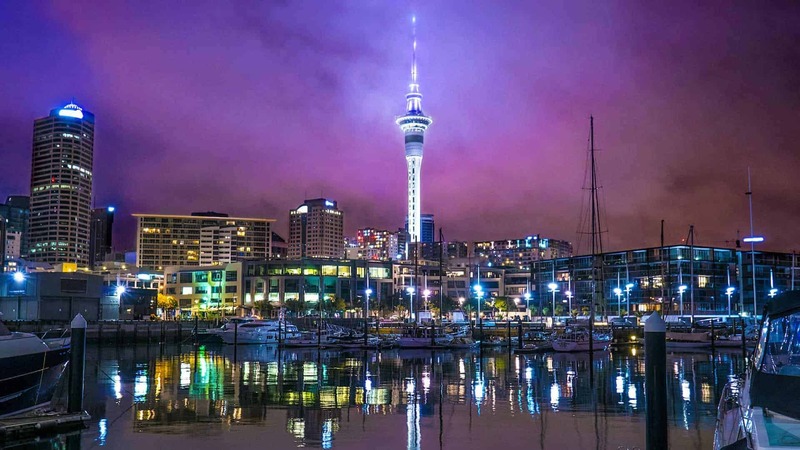 The Auckland Sky Tower is 328 metres tall, however you’ll be jumping a distance of 192 metres by wire. Don’t forget to check out the view before you jump and to wave to the people in the revolving restaurant before you fall to the ground! If jumping off the Sky Tower is far too ridiculous a notion to consider then you could do a Sky Walk instead. Don’t get me wrong this is not for the fainthearted and definitely not for those who are scared of heights. But if you’re brave enough during your Sky Walk you can lean over the edge for some photos to scare your Mum! On to something a little more sedate for the scaredy cats amongst us. Hire a car for the day or go on a tour and head out west towards Piha. 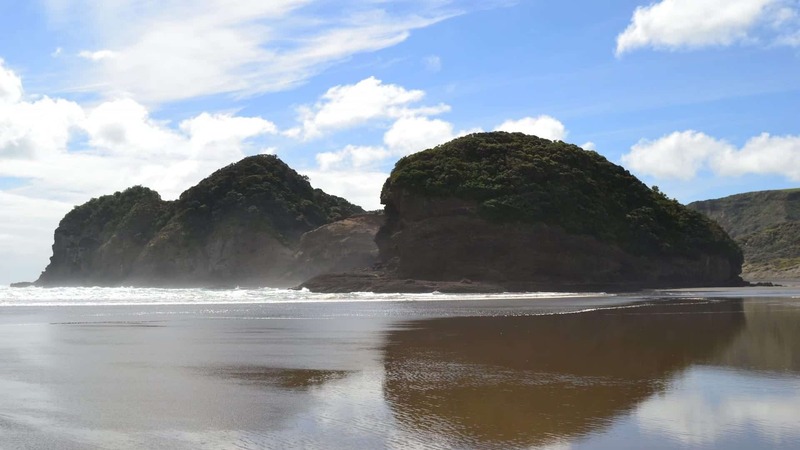 You’ll drive through the stunning Waitakere Ranges to get to Piha and when there you can walk to KiteKite Falls and then chill out on the black sand beach. It really is a lovely way to spend a day. Canyoning is not something I’d ever heard of before I did it, but I can tell you it’s an amazing experience. Canyoning is basically a way to explore remote / rugged locations by walking, swimming, abseiling, jumping and climbing! 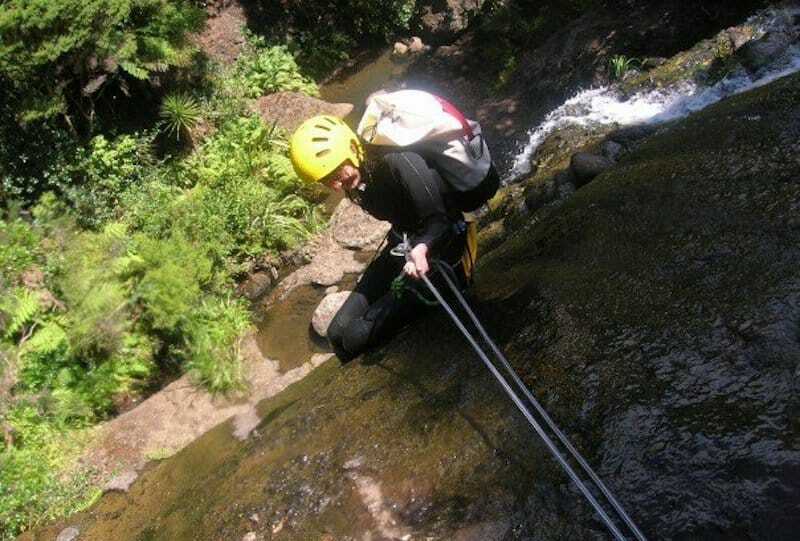 If you decide to go canyoning in Auckland you’ll be exploring the stunning Waitakere Ranges. 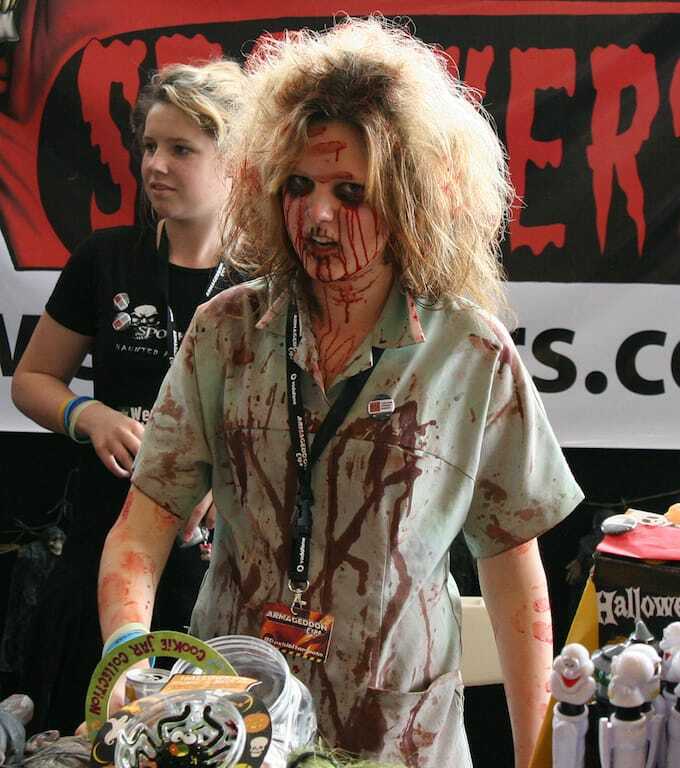 Visiting Spookers is what to do in Auckland if the other adventure activities on this list haven’t scared you enough yet. Spookers, a haunted house, is one of the best things I’ve ever done. I got chased through a forest by a man with a chainsaw, I was almost kidnapped by a redneck and I screamed and laughed so much I got a headache! 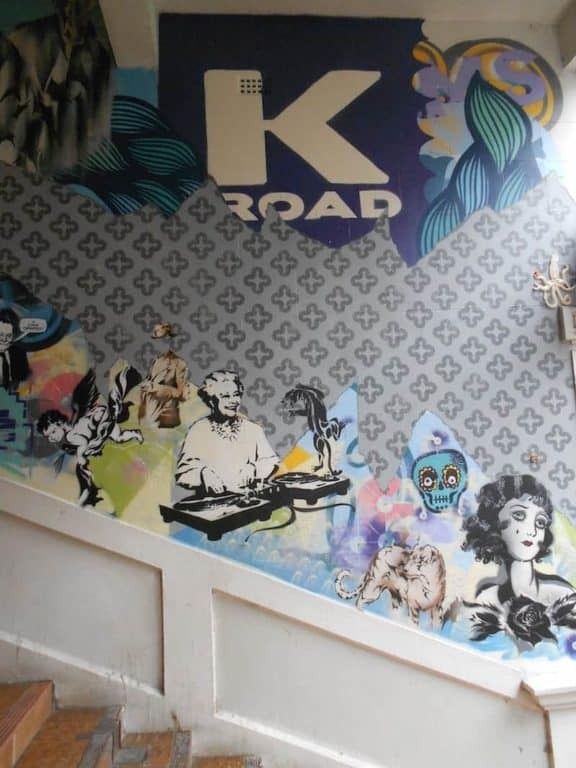 K’ Road – Karangahape Road – is a pretty fascinating part of Auckland. It used to be very seedy and although there is still a seedy element to this area it’s also a great place to explore good quality ‘op shops’ (second hand stores), antique shops, nice boutique cafes and some great bars and restaurants. Auckland Zoo has over 1000 animals and 126 species. My personal favourite parts of the zoo are the meerkats and the primates. The monkeys have swings and trees and are so fun to watch. 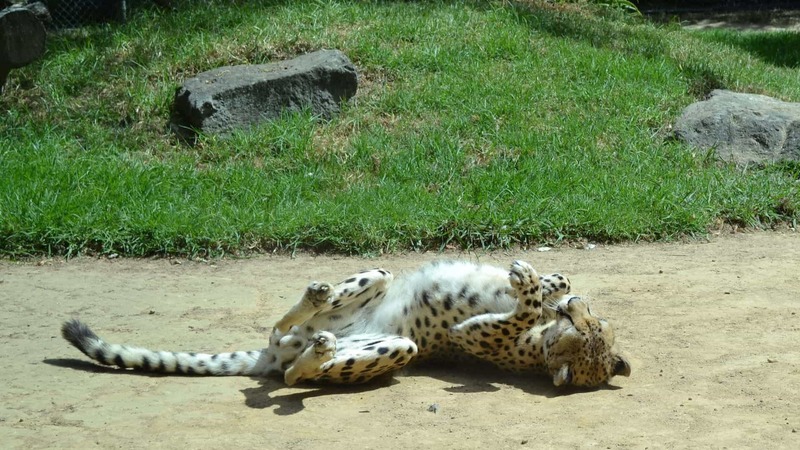 Auckland Zoo also has elephants, lions, tigers, giraffes and rhino’s as well as some smaller creatures and bugs. With Auckland being located in the Hauraki Gulf there are loads of ‘on the water’ activities to enjoy. There’s a very good reason Auckland is known as the ‘city of sails’. The Hauraki Gulf is a great place for spotting both dolphins and whales. If you don’t spot any marine mammals on your 4 1/2 hour trip then you can go out again for free! Another great water activity in Auckland is to explore the Gulf in an ‘adventure jet’. 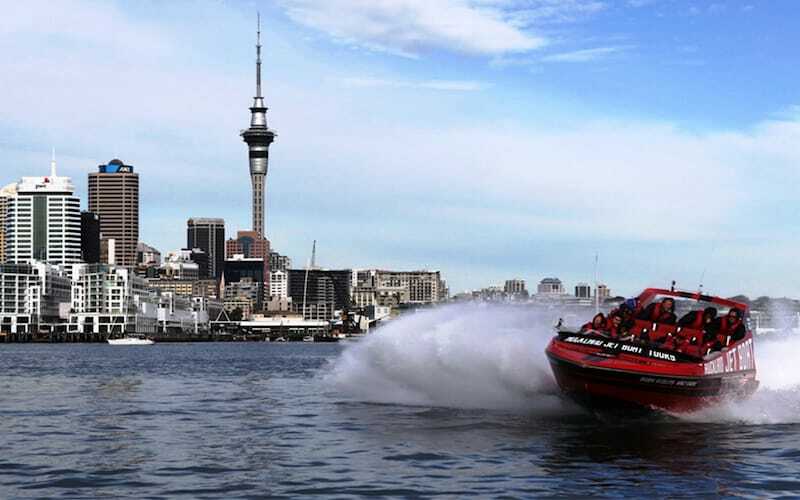 There are 2 jetboat companies operating in Auckland, which just shows you how popular this activity is. 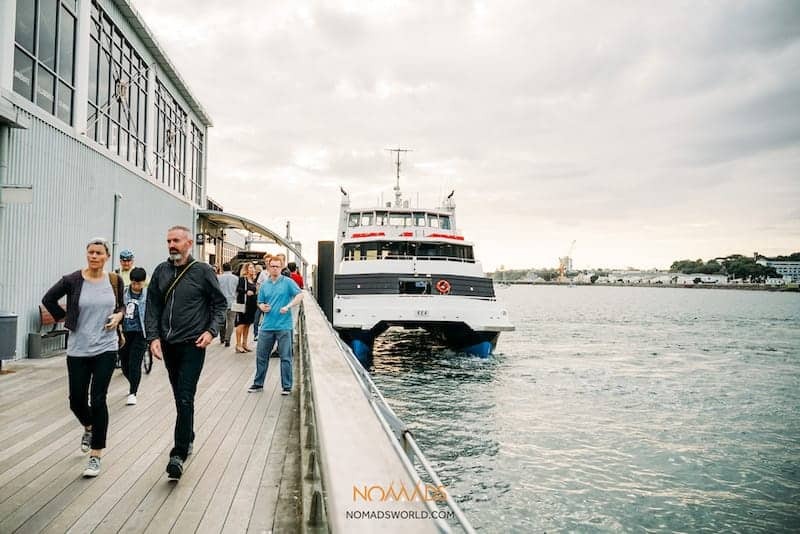 It’s a great way to see Auckland from the water while experiencing the thrill of spins and tricks out on the water by the experienced crew. If you love being out on the water but a jetboat ride is not your thing then take the ferry to Devonport. 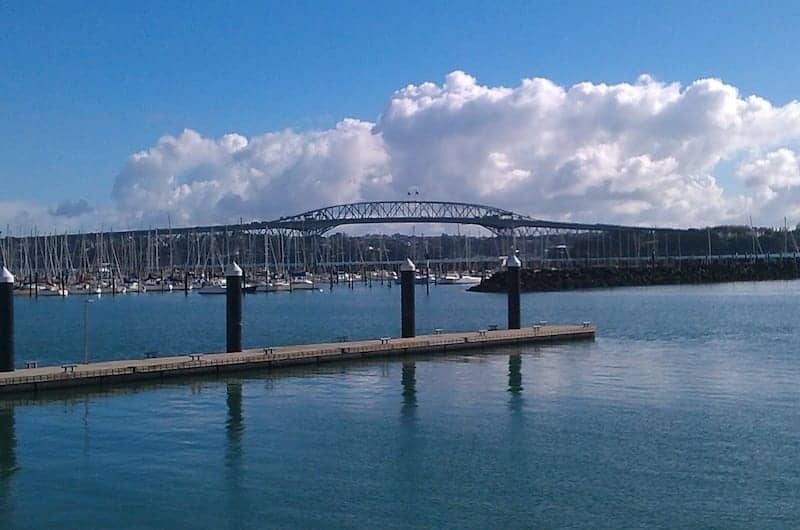 Devonport is a lovely little place to explore just a short 10 minute ferry ride away. 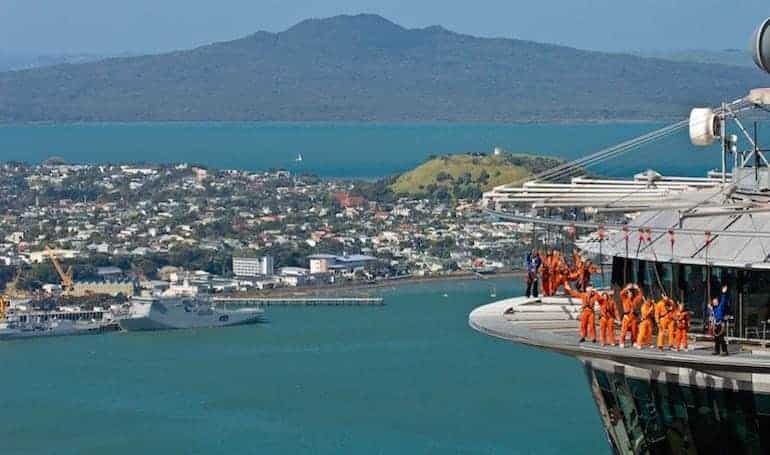 You can walk to the top of Mount Victoria, chill out on the beach, go to the navy museum or just enjoy the great shopping, cafes and restaurants! Bungy jumping is just one of those things you have to do at least once while in New Zealand. 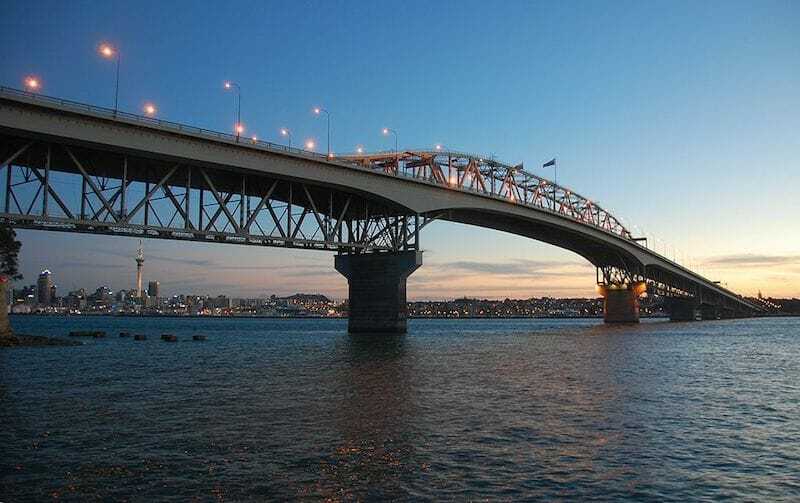 If the thought of the larger bungy jumps down in Queenstown scare you too much then do a bungy jump off the Auckland Harbour Bridge instead. I was still terrified when I did it but it was an amazing experience. I wasn’t brave enough to dip in the water though! Instead of jumping off the bridge you could do a bridge walk instead. You’ll walk above the traffic, while safely strapped to the bridge. It’s pretty scary actually but the views of Auckland and the harbour are really good! This might not be on many people’s radars but it’s pretty fascinating. MOTAT stands for the Museum Of Transport And Technology. 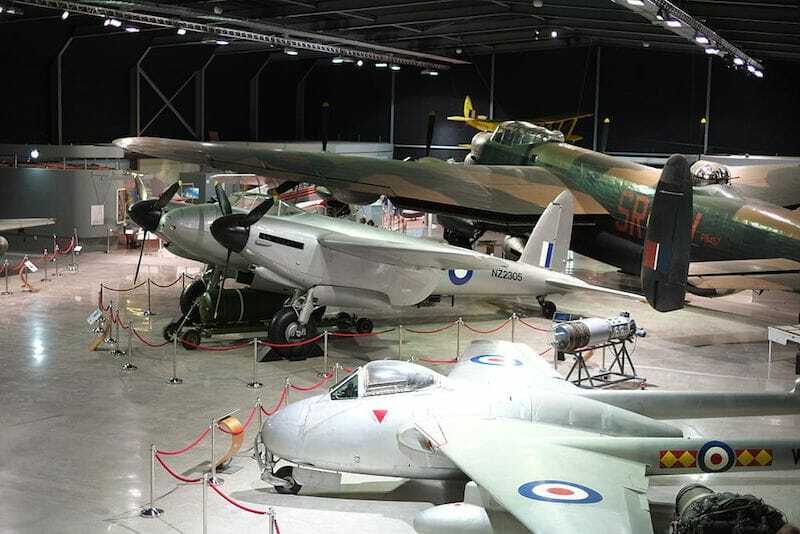 This is 40 acres worth of interactive transport, technology and social history exhibits. Finally, to take advantage of Aucklands unique location why not take a walk from the East Coast of New Zealand to the West Coast? The Coast to Coast Walk is 16km, so be prepared with some water, some snacks and good shoes! 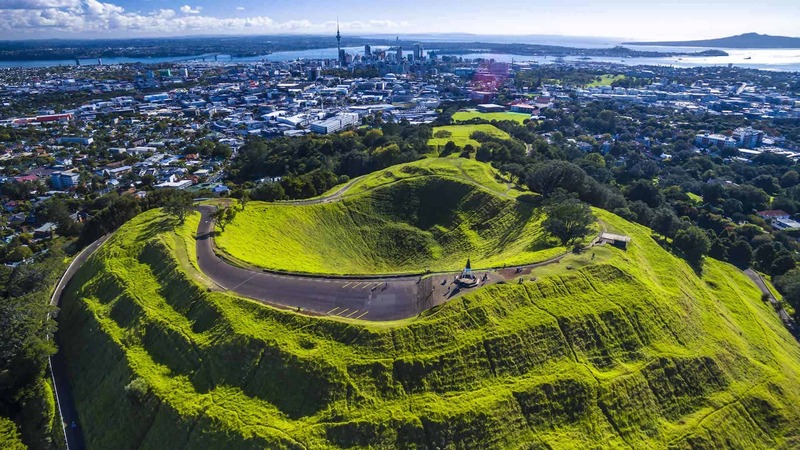 This walk takes in some incredible views and landmarks like Mount Eden. You can download a map here. 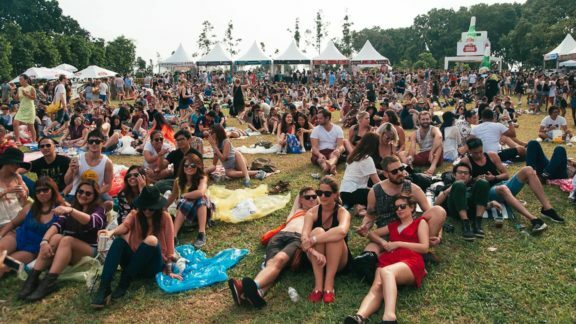 This is not a comprehensive list of what to do in Auckland, because there are so many more things you could do and places you could explore, but these will certainly keep you happy and busy for a while.